You can find us in the Casa del Capitano (The Captain’s House) within the walls of Cittadella. After entering the town through the Porta Bassano the building is on the left hand side, the address is Porte Bassanesi n.2. The tourist office is a good starting point for tourists visiting our town and we will be happy to give you all the information you will need about Cittadella, Padova and the surrounding area as well as information on nearby regions of interest. The office sells souvenirs and the entrance tickets to the ramparts. 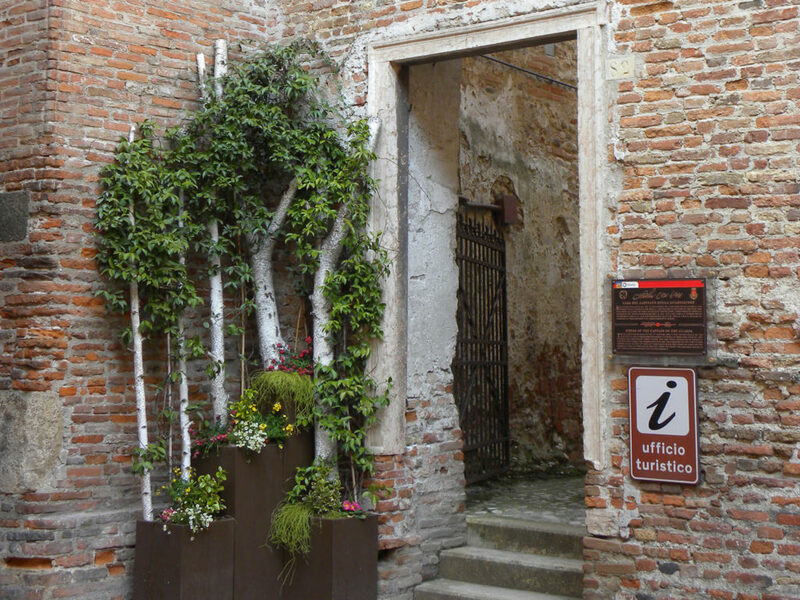 The office can also help with hotel reservations and organize guided tours of Cittadella and the surrounding area. You can also book our workshops for children where they can learn about ancient medieval handicrafts. During special events the ramparts are open at night and lit by candles and torches..
For this and much more…we hope to meet you soon! The tourist office is located in the “Casa del Capitano” (The Captain’s House). 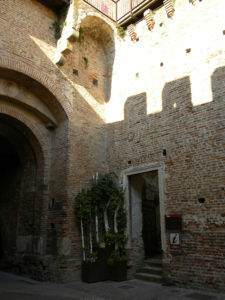 The Captain’s House is a medieval building next to the tower of the northern gate, Porta Bassano. The Captain of the Guards lived here and together with three soldiers and two archers they were in charge of the defence of the most fortified part of the town. The parapet on the other hand had a garrison of twenty soldiers with two commanders, one of them on the ground and the other one on the wall. All that is left on the ground floor of the Captain’s House is the medieval well. The tourist office is on the first floor. Next to the office is a hall, with the best preserved frescoes in the entire building. It is furnished as a renaissance dining room with weapons and coats of arms to match. These objects belong to the association “Arme, Dame e Cavalieri” (Weapons, Ladies and Knights) which organizes every year at the end of September a medieval re-enactment. The frescoes are original and date back to the 16th century. In 1503 Pandolfo Malatesta became Lord of Cittadella, which was granted to him by Venice in return for his Lordship of Rimini. He arrived in Cittadella in 1503 with his wife Violante Bentivoglio and his brother Carlo. The family lived in a palace in the old town, nowadays known as Praetorian Palace, which has been painted and decorated in a very similar way to the frescoed hall in the Captain’s House but with a series of more elaborated portraits worthy of a stately residence. The two toned striped pattern (here in red and blue) used to decorate the walls in the Captain’s House is known as ‘Rigadin’ in Venice. It is an imitation of the wall paper and tapestries which hung on walls from the early middle ages onwards to protect homes from cold and damp. The chosen colours usually had a heraldic meaning and the decorations varied in shape and subject (e.g. squares, imitations of damask fabrics, objects). During this period this type of decoration was widespread in Italy, especially in the area of Feltre and also in the Venetian villas and palaces, which we know thanks to the tradition of paintings and miniatures but few examples remain to this day. 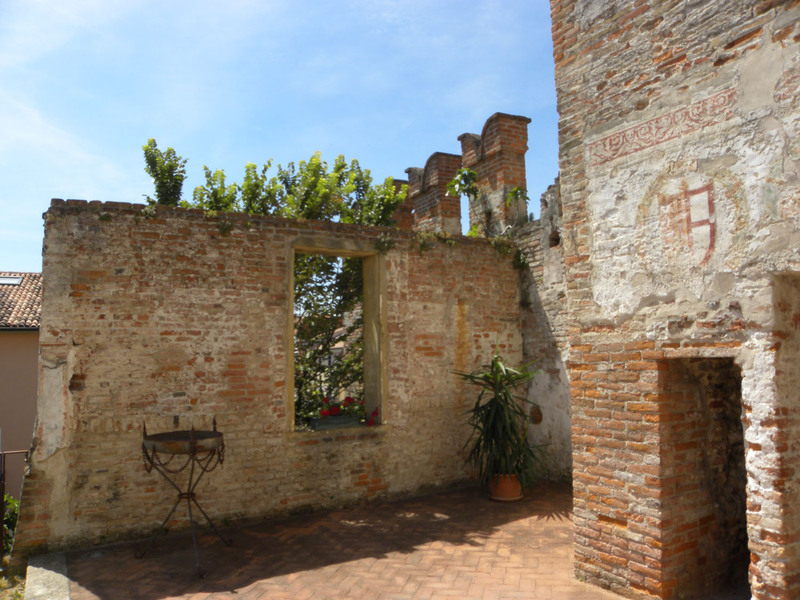 The recovery of the frescos in the Praetorian Palace and the Captain’s House have therefore an important significance. The trompe d’oeil effect (French for ‘deceive the eye’) plays a leading role, it creates the illusion of a tapestry, festoonery and the emblems of the family hanging from the walls, imitating a domestic scene. The phoenix nest is one of the most famous emblems of the Malatesta family, another one is the cleaver. The frescos are dated from 1503 to 1509 which was the time the Malatesta family ruled over Cittadella then the family was expelled and banished from Venice for having defected in favour of the Emperor Maximilian of Habsburg. 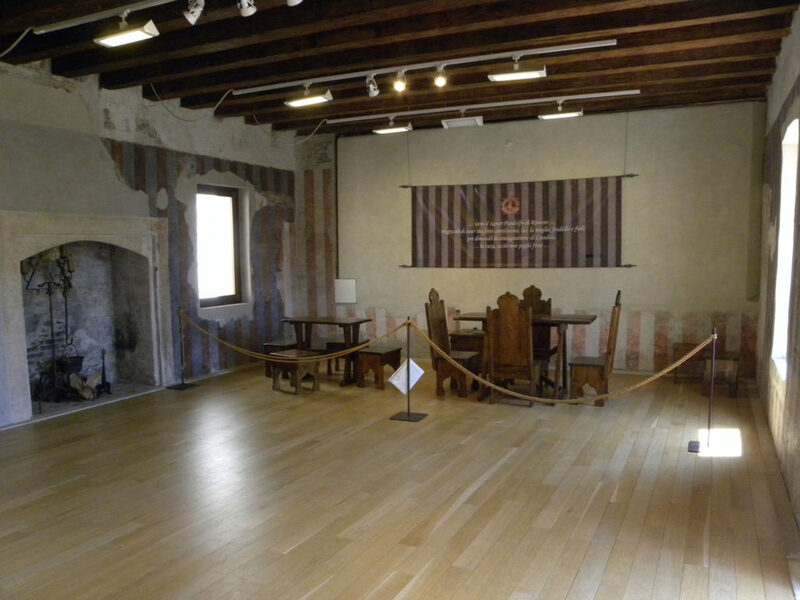 On the second floor of the Captain’s House you will find a reconstruction of a medieval bedroom, a photo gallery and the entrance to the famous Ramparts. In the tourist office you will find all kind of different souvenirs to remember your stay in Cittadella. Prices are very reasonable and there is a wide range of things like badges, postcards, key rings, T-shirt, mouse pads, DVD’s of Cittadella, cotton bags and posters. There are also some books available: the tourist guide “Walled Town”, History of Cittadella and much more.